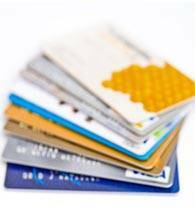 Identity theft and credit card fraud are two of the worst threats facing consumers. The news is full of identity theft stories in which the victim’s credit rating is destroyed. Who doesn’t worry about their credit cards being stolen from their mailbox? Those pre-approved credit card offers are more than annoying. If a criminal steals your mail, fills out a credit card application that’s been pre-approved and sends it in they’ve just applied for a credit card …in your name. Now they just have to watch for it to arrive in your mailbox. Once it does they’ll be able to go shopping armed with your credit card. It’s that easy. So what can be done to combat it? You may not have requested these pre-approvals, but it’s your credit that’s damaged in this scheme. This is why we recommend using OptOutPrescreen.com to block credit card pre-approvals unless you prefer adding to your growing collection of credit cards. I have four already but use only two. Using OptOutPrescreen was a no-brainer for me. Several years ago the Consumer Credit Reporting Companies acted to alleviate consumer anxiety by providing a means to stop to credit card and insurance solicitation. You know these credit reporting companies as EquiFax, Experian, TransUnion and Innovis. Together they created Optoutprescreen.com so that consumers could send in requests for removal (opt out) from pre-approved credit card and insurance offers. These offers are also referredto as “firm offers” of either credit or insurance. You are also given the choice of opting out for five years or you can opt out of firm offers permanantly. If you have already decided to opt out of firm offers and would like to opt back in (hey, it could happen) OptoutPrescreen.com provides a means for that as well. Opting out will not remove you from mailing lists! Don’t be alarmed if six months after opting out you still receive credit card offers. What you have opted out of are unauthorized credit checks. A bank can request your credit history without your authorization and then “pre-approve” you for a credit card. This is the “prescreen” part that is the cause of all the problems because this is where the danger lies. It doesn’t do a criminal much good to your intercept mail only to find out you were declined. If a link to www.optoutprescreen.com should arrive in an email addressed to you, don’t click it. Always type in the address (https://www.optoutprescreen.com) yourself. Don’t forget the s in the URL because that ensures the encryption of your data when you submit the form. A good rule of thumb is to never, ever click links in email that request your personal information. Criminals create elaborate mockups of banking and other well known sites. No legitimate site would request information requiring you to click a link to “fix your account” or resubmit personal information you’ve already provided. This is called Phishing and you should learn to recognize it when you see it. Optoutprescreen.com is not a bunch of identity thieves who have cooked up the best scam ever. It’s another tool you can use to fight identity theft and credit card fraud. OptOutPrescreen.com is run by the four major credit rating companies – Experian, Equifax, Innovis and TransUnion. I have opted out using this site and encourage anyone that doesn’t want to receive pre-approved credit card offers anymore to do the same. First of all we have to acknowledge that people don’t trust the credit reporting companies very much if at all. We have all heard the news stories involving breaches of security that let criminals access the records of hundreds of thousands of people. You may also wonder why you have to opt out in the first place. Shouldn’t credit card companies need your permission to run a credit check on you? In a perfect world the answer would most certainly be yes but sadly this is the way it is and if you want to stop those offers from appearing in your mailbox you will need to play by their rules. This gives the credit-reporting affiliates the option to use one of two sets of rules and regulations. It does not say that they can now use your information anyway they see fit. If you go ahead and opt-out via Optoutprescreen and you are still getting offers three months later you should probably ask questions but give it a chance to work. Your information is already out there so submitting this request only checks the “Opt Out” box in their system. Keep in mind that the credit card companies will try to get you agree to opt back in every time you sign up for credit so read the fine print on just about anything you sign up for involving credit or banking. If you see something such as “We reserve the right to run credit checks on you and send you credit card pre-approvals if you sign this form” and then you sign the form you have no one but yourself to blame. Once you opt out, pay attention any time you sign up for anything so you don’t find yourself needing to opt out on a regular basis. One great side-effect of using Optoutprescreen is that you end up with less junk mail to sort through. I figure that my junk mail decreased approximately 50% after I requested that my name be removed from credit card pre-approval lists. That’s a LOT of mail! Thanks to Optoutprescreen there are some days where I receive no mail at all. Think about how many trees we could save if we all had our names removed. Don’t carry credit cards you don’t use and never leave them unattended in a purse, briefcase or wallet. Always make sure you get your credit card receipt because it just may include your credit card number. Never toss it in a public trash bin. You’ll need that receipt later anyway to tally things up when your statement arrives. Shred all documents that might include your credit card number before disposing of them – old slips, credit card statements, bills, anything. Never give your number over the phone to someone that you do not know. It’s OK if you initiate the call but if you get a call at home from anyone that you do not know by name do not give them your credit card number. Amazing but in Canada companies are required to ask your permission before sending you junk you have no interest in. If they don’t, they are at risk of a $100,000 fine. Now that’s government working for the people not the lobbyists or other special interest groups. Sure would be nice if they had to do that here in ohio. I was seriously considering joining this website until I read this comment. Now I will not, for I want to avoid any problems it might create. It appears to be https now. They also encrypt the ssn if the page reloads, so it seems ok to me. Sharon, please note that the URL where you enter your opt out info is indeed https. I don’t know many websites that have https on their home or “splash” page. This should not be a reason NOT to use this feature. Give out your Social Security number, sure, no problem. NOT! If scammers can hack into government websites, how tough would it be to breach the “optout” site. Might as well use my number as part of my return address on envelopes. I have found that should a junk offer arrive with a prepaid envelope, I send the empty envelope back. Its a win win. The post office makes money and the junk mailers are paying for an empty envelope. Even better is what I’ve counseled my ENTIRE family to do; send those envelopes back full of junk from other companies. I send Dishnetwork mailers back to ATT in ATT’s prepaid envelopes. And vice versa. I send credit card companies the weekly grocery store sale papers, and other junk I don’t want. After I started doing this, I notice a significant drop in junk mail. I still get it, but not as much. If we all gave them a taste of their own medicine, think of how much less junk we’d ALL receive! They have long ago updated their encryption. It is safe now. Optout is legit. I haven’t got any junk credit card mails since I sent out the request. Can you believe when you go to opt-out prescreen to “Opt out” the default option displayed in tiny print is to OPT IN????? Does anyone know if this will this stop mortgage refinance junk mail? Easy way to “stop” it. Mail the entire amount of information back using the pre-paid envelope. Draw lines through all “requested” information EXCEPT your name & address. ( You might just “add” any junk mail to the return……. I did & I do. I am receiving less and less. Hurt their pocketbook.